If you’re looking to become an investor, you may be aware of stock markets, and stock exchanges, however, you may want to know what is NSE and BSE? to understand that let first understand a Stock, a stock or a share, can be considered as one part of the total parts of a company – so if you own some stocks of a company, you’re a part owner. A share, therefore, has some value, and so a company raises money by issuing shares to the public. We’ve discussed this concept in detail in our post on IPOs. A stock exchange is an organized market, where traders can buy and sell the shares of different companies. Investors and traders connect to the exchanges via their brokers, and place buy or sell orders on these exchanges. A set of 50 stocks in the NSE (and 30 in the BSE) have been selected, on the basis of their company’s reputation, market capitalization, and significance, to be part of a weighted formula that gives us the ‘value’ of the index. Now, where does this issuance of shares occur? On a platform, we call the stock exchange. A stock exchange is an organized market, where traders can buy and sell the shares of different companies. India has two main stock exchanges – the National Stock Exchange (NSE) and the older Bombay Stock Exchange (BSE). Let’s learn more about them. The NSE or National Stock Exchange is the leading stock exchange of India. It is the fourth largest in the world (based on equity trading volume). Based in Mumbai and established in 1992, it was the first stock exchange in India to offer a screen-based system for trading. The NSE was initially set up with an aim to usher in transparency to the Indian market system, and it has ended up delivering on its aim quite well. With the help of the government, the NSE successfully offers services such as trading, clearing as well as the settlement in debt and equities comprising domestic and international investors. 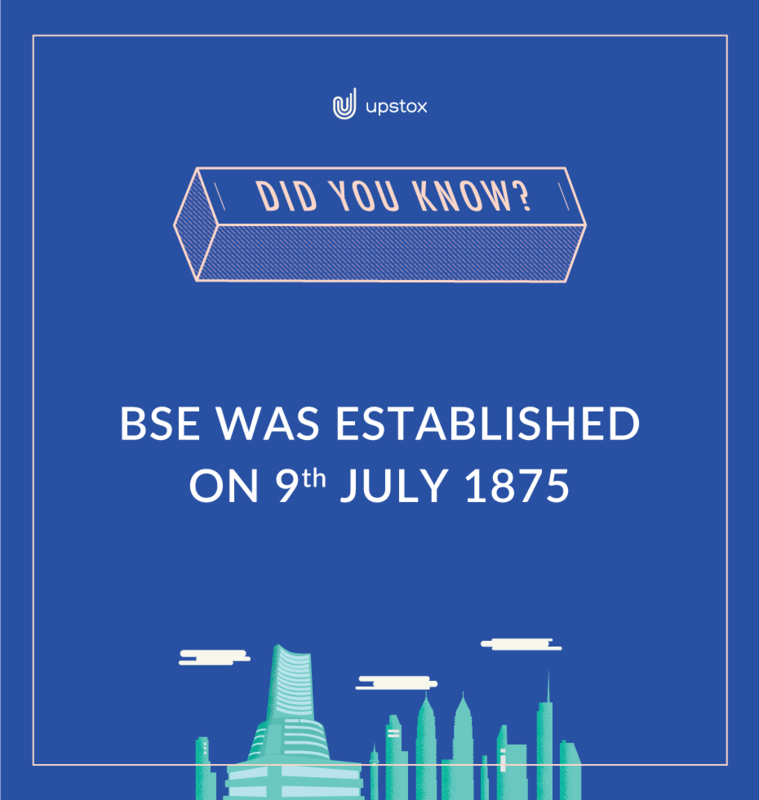 The BSE or the Bombay Stock Exchange is a lot older than its cousin. It was Asia’s first stock exchange. With a trading speed of 6 microseconds, the BSE is the fastest stock exchange in the world. The BSE does have some interesting history. A man named Premchand Roychand founded the Native Share and Stock Brokers Association in the 19th century. In those times, it used to function in Dalal Street under a banyan tree – where traders would gather together to buy and sell stocks. Gradually, the network expanded and the exchange was established by the name of Bombay Stock Exchange in 1875. How does NSE & BSE work? The trading mechanism of both the NSE as well as BSE is similar. Investors and traders connect to the exchanges via their brokers, and place buys or sells orders on these exchanges. What makes them decide on their trading strategy? You might have often heard the terms ‘Nifty’ and ‘Sensex.’ Both of them are indices – the former representing NSE and the latter BSE. These indexes play an integral part in the working of these exchanges. The indices are an indicator of the health of the stocks on these exchanges (and given their scale, an indicator of the Indian economy’s health too). If anyone of these stock prices rise, the value of Nifty & Sensex goes up. If the prices decline, so do Nifty & Sensex. That’s all well and good, but what is the actual role of these stock exchanges? What do they do? Suppose a company wishes to raise money from investors, it first needs to be registered in the stock exchange, which it does with an IPO. The company produces shares and sells them at a particular price. The investors who buy the shares are the shareholders of the company. For every share, a fixed amount of dividend (profit, in layman terminology) is paid to the investors. If the company grows, the dividend increases and vice versa. In case the company keeps growing, it will attract more investors and more shares need to be issued. All these transactions are carried out under a regulating authority known as the stock exchange, like NSE and BSE. Companies list their shares in these exchanges and investors buy them. Firstly, open an online trading & demat account. They are required for buying, selling and storing stocks. Do remember to choose an authentic broker who is registered with SEBI. Move funds from your bank account to your trading account. Once set up, trading can begin! India has two major stock exchanges – the National Stock Exchange and the Bombay Stock Exchange. Both the NSE and BSE provide an efficient platform for online trading and are an indicator of the health of India’s economy.